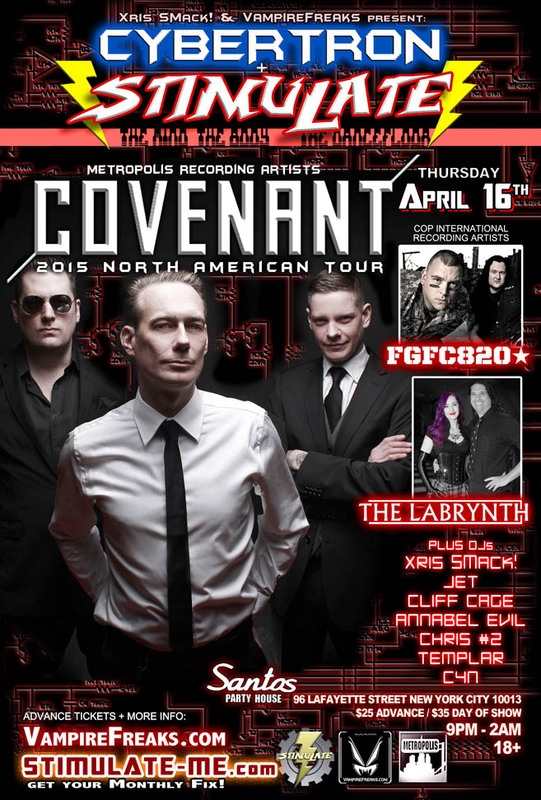 04/16/15 – STIMULATE + CYBERTRON present COVENANT on their 2015 North American Tour! STIMULATE + CYBERTRON present COVENANT on their 2015 North American Tour! Details and Advanced Tickets here!